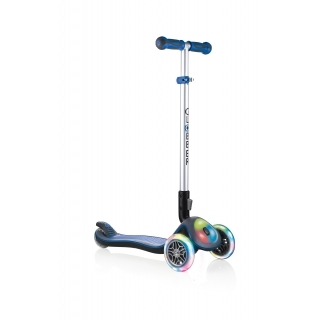 Globber ELITE 3-wheel foldable scooter for kids - fold up scooter, height adjustable scooter, patented steering lock button for easy learning. 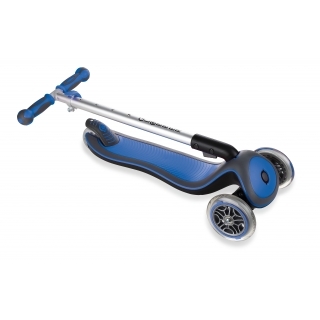 Easy folding scooter supports up to 50kg. 4-height adjustable scooter for kids up to 9+. 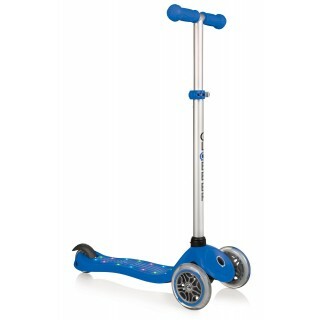 Extra-wide deck & rear brake for maximum comfort and back-wheel longevity. 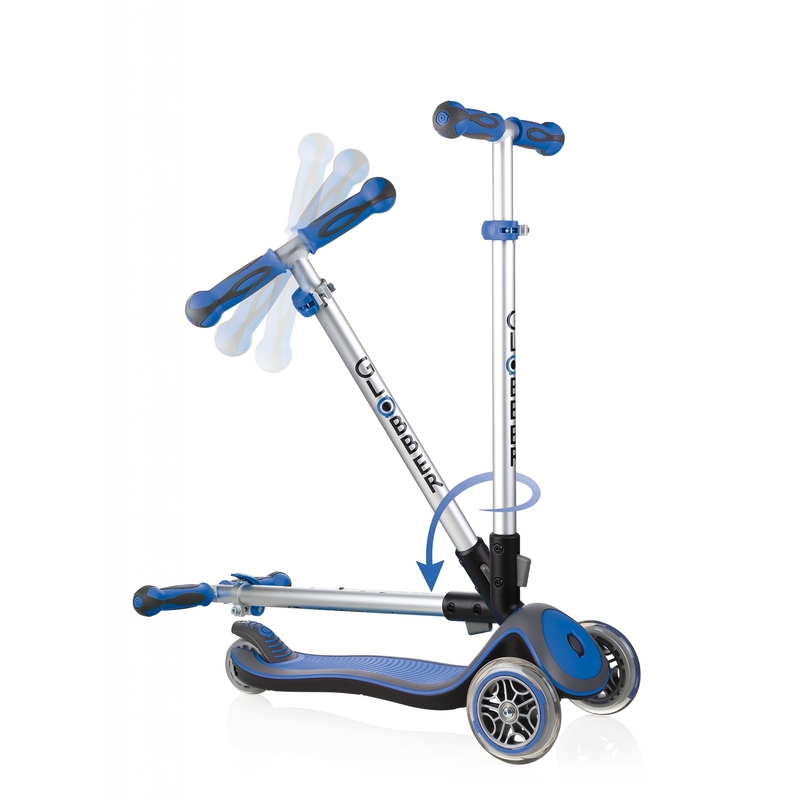 Light-up scooter wheels & front module available. 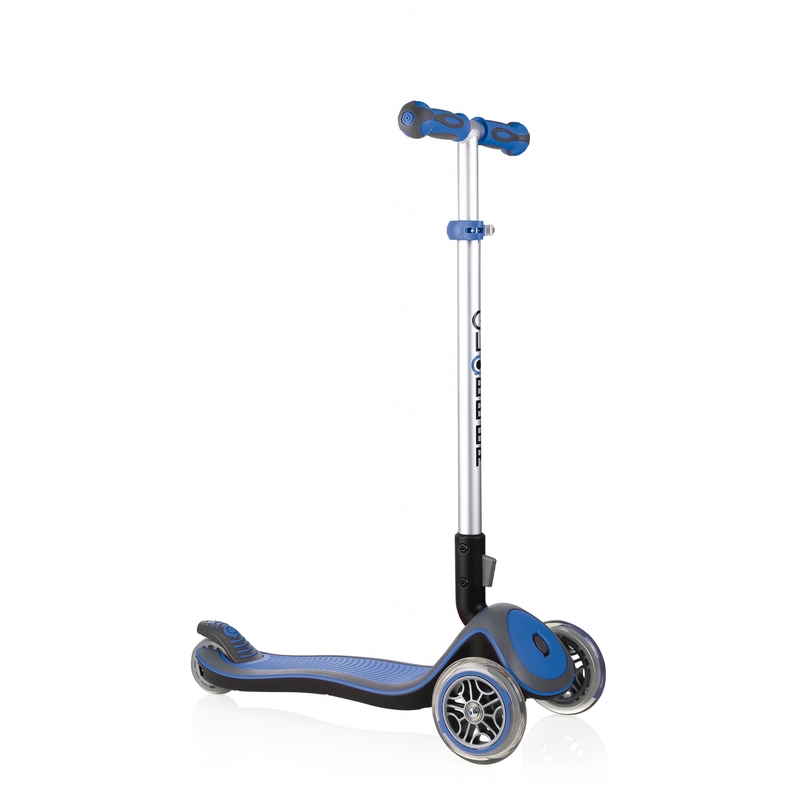 Watch the film to find out more about our ELITE 3-wheel fold-up scooter for kids aged 3 to 9+! Foldable light-up scooter for kids.